11th A new Canon lens patent [CR] Canon EF-S 15-105mm f/3.5-5.6 IS USM – set to appear with the next XXXD? 28th Some lens info [CR], including more info on the updates for the TS-E 45 and 90. Timing fits in with what we were told for the 90mm in October. Looks like a few more specialist lenses, but nothing on our old stalwart – the IS version of the 24-70 2.8L. 24th A few lens patents doing the rounds [CR] 600 DO this time. 12th The new 300 & 400 2.8 L IS II are using new glass types and are the first examples of much higher resolution lenses. They are being made at a new factory, which may explain the delay in their introduction It’s not known if this also applies to the 8-15. It seems that the 800mm has this new technology, but was put together at one of the existing factories. Purchase an EOS 7D or EOS 5D Mark II and claim up to Up to £100 / €120 savings on selected EF lenses. When purchasing either an EOS 5D Mark II or EOS 7D customers will receive a voucher booklet in-box which will allow them to claim cashback on further purchases of selected lenses (up to a maximum of 4 claims per person) within three months of their initial camera purchase. Following the announcement of the new EF 300mm f/2.8L IS II USM, EF 400mm f/2.8L IS II USM and EF 8-15mm f/4L Fisheye USM, on 26th August 2010, Canon has now delayed the introduction of these lenses due to some adjustments in the manufacturing process. 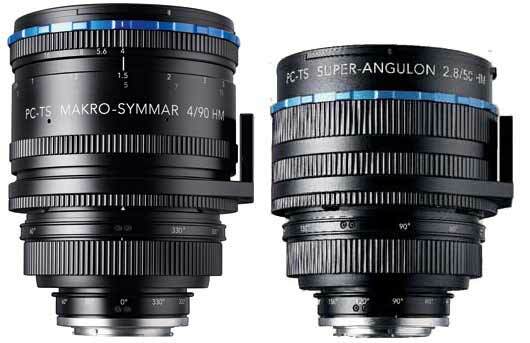 These lenses are now due to be released in March 2011. This from a Canon UK press release. The US patent number listed (2010-243636) comes up as a ceramic hob using pat2pdf.org (using 20100243636) perhaps not a US patent – Japanese info anyone? 6th Expect more primes from Zeiss next year – or so their Photokina people were saying. 25/2.8 and maybe even a 135/2 look good possibilities. 28th Lots more lenses on the way? Interesting Canon interview at DCW [Google] – lots of mentions of EF mount too. If anyone can make more sense of this I’d welcome your thoughts. The 24-70 is better than my old one, and I see [CR] that finally there are some solid hints about its replacement. No mention of IS or a date, but CP+ is at the start of Feb.
23rd A brand new 24-70 on its way from Canon, since spare parts were not available. Also a reminder to CPS Europe members who’ve had lenses registered with the old CPS system, to check your serial numbers online. There was a glitch that had replaced some digits of the S/N with asterisks. This meant that when the repairers first checked my 24-70 S/N they thought it was not CPS registered, which delayed getting me a loan from Canon Germany. 20th In what may or may not be significant, I’ve just heard that their are no spare parts (helicoid) available for our 24-70 2.8L. With a big Canon announcement looking less likely for Photokina, we’re not expecting the mythical IS version of the 24-70 any time soon. I’ve just published our review of the SpyderLensCal – test target for lens AF adjustment. 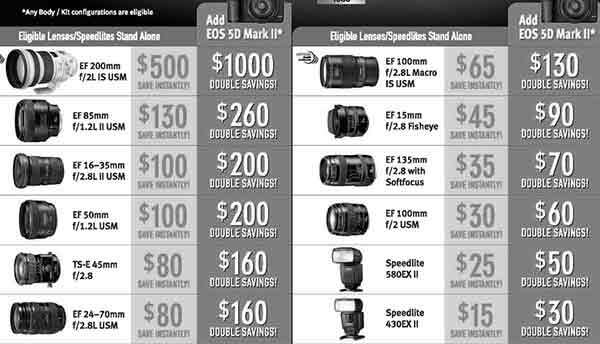 16th Canon TS-E lenses not expensive enough for you? Equates to ~58mm for x1.6 crop cameras. LAKE SUCCESS, N.Y., August 26, 2010 – Canon U.S.A., Inc., a leader in digital imaging, rounds out its Summer product introductions with four new L-series lenses and two new accessory extenders for professionals and advanced amateurs. Leading the introductions, the EF 8-15mm f/4L Fisheye USM lens is the world’s widest fisheye zoom lens, providing professional photographers and cinematographers with a unique optical tool for capturing 180˚ angle-of-view shots on all EOS Digital SLR cameras. Photographers looking for a broad focal length range with excellent image quality will enjoy the Company’s first L-series 70-300mm telephoto zoom lens, the new EF 70-300mm f/4.5-5.6L IS USM lens, delivering outstanding sharpness, contrast and color fidelity in a compact, lightweight form factor. Canon is introducing two new versions of its popular super telephoto lenses, the new EF 300mm f/2.8L IS II USM and EF 400mm f/2.8L IS II USM super-telephoto lenses delivering incredible image quality at all apertures for professional photojournalists, sports and wildlife photographers. For professionals and advanced amateurs looking to push their L-series Canon telephotos to the limit, the Company is proud to upgrade its two popular extenders with the new Canon Extender EF 1.4x III and Extender EF 2x III for additional telephoto reach and exceptional clarity. Photographers will immediately notice that the latest Canon L-series telephoto lenses and extenders have a more neutral white tone compared to earlier models. This new shade of white will be used with all L-series telephoto lenses and extenders beginning in the second half of 2010. The introductions of these Canon lenses have been timed with Canon’s latest camera introduction, the Canon EOS 60D Digital SLR camera, designed for advanced amateurs and emerging professional photographers. “Canon’s core has always been our optics, and we are constantly challenging ourselves to produce better and more advanced optical systems for our customers. These six new products advance the state of the art in Canon lens technology and provide new and innovative tools for professionals and advanced amateur photographers,” stated Yuichi Ishizuka, executive vice president and general manager, Consumer Imaging Group, Canon U.S.A.
With its unique focal length range, the EF 8-15mm f/4L USM is the world’s widest fisheye zoom lens. It delivers 180 degree diagonal angle of view images for all EOS SLR cameras with imaging formats ranging from full-frame to APS-C, and provides degree circular fisheye images for full-frame EOS models. Professional photographers and cinematographers will revel in the unique perspectives afforded to them through this lens, particularly when coupled with the highly popular full-frame EOS 5D Mark II DSLR camera. Canon’s new Fisheye zoom lens features both UD and aspherical lens elements to enhance image quality and is equipped with rubber gaskets and seals to enhance weather resistance. Canon’s proprietary SWC (Sub Wavelength Structure Coating) is used to minimize flare and a new fluorine anti-smear coating is applied to the front and rear elements to make lens cleaning easier than ever. The Canon EF 8-15mm f/4L Fisheye USM lens is expected to be available in January of 2011 for an approximate retail price of $1,400. Compact and lightweight, yet durable and professionally sharp, the EF 70-300mm f/4-5.6L IS USM lens is the ideal telephoto zoom lens for advanced amateurs looking for that extra reach to bring a subject in tight and close. Providing the power and durability to maximize every shooting opportunity, the Canon EF 70-300mm f/4-5.6L IS USM lens features two UD ultra-low dispersion glass elements for enhanced sharpness, L-series weather and dust sealing for shooting in harsh conditions, improved mechanical design, and streamlined ergonomics to help avoid inadvertent mode switch operation. The shapes of the lens elements and their coatings have been optimized to minimize ghosting and flare to produce high-contrast and high-resolution throughout the zoom range. A sophisticated floating system optical formula optimizes image quality at all distance settings and reduces minimum focusing distance by more than a foot. An updated optical image stabilization system compensates for camera shake up to an equivalent of four full shutter-speed steps, a full step improvement compared to earlier EF 70-300mm lenses. A new fluorine anti-smear coating is applied to the front and rear elements. The Canon EF 70-300mm f/4-5.6L IS USM lens is expected to be available toward the end of October for an approximate retail price of $1,500. The Canon EF 300mm f/2.8L IS II USM is the 6th generation of a venerable family of Canon 300mm f/2.8 lenses that began in 1974, and have become famous for their exceptional sharpness, contrast and color fidelity. Ideal for a wide range of applications ranging from professional photojournalism and sports photography to nature and wildlife, Canon’s 300mm f/2.8 lenses have always led the industry with new technical advances in every generation. The EF 300mm f/2.8L IS II USM lens carries on this tradition with improved image quality, lighter weight, improved Image Stabilization and enhanced durability making it a great option for handheld work in the field. The optical formula of the new lens has been upgraded with the inclusion of two fluorite lens elements for improved image quality and reduced chromatic aberration. Helping to reduce arm fatigue, Canon has reduced the overall weight of the lens by 8 percent to 82.9 oz., making it the lightest weight lens in the Canon EF 300mm f/2.8 series. The Image Stabilizer provides an equivalent of approximately four full shutter speed steps of shake compensation and has been enhanced through the incorporation of a rolling-ball-friction system in place of sliding parts in the compensation optics barrel for a minimum-friction structure. The overall durability of the lens has also been enhanced through increased usage of magnesium alloy and titanium for lens barrel components, together with weather sealing for all exterior joints and switches and a new fluorine anti-smear coating applied to the front and rear elements. The Canon EF 300mm f/2.8L IS USM lens is expected to be available in December for an approximate retail price of $7,000. Quintessential for many sports assignments including baseball, football, soccer and golf, Canon’s professional 400mm f/2.8 lenses provide the light gathering capability and long telephoto reach that photographers need to freeze the action and fill the frame . The Canon EF 400mm f/2.8L IS II USM is the 5th generation in Canon’s 400mm f/2.8 series and the successor to the current EF 400mm introduced in 1999. The new lens has been engineered for the ultimate in optical performance through the use of two fluorite lens elements for improved quality and reduced chromatic aberration. Helping photographers in the field, Canon has reduced the overall weight of the lens by a substantial 28 percent from 189.4 oz to 135.8 oz, making it Canon’s lightest weight 400mm f/2.8 lens ever. The Image Stabilizer provides an equivalent of approximately four full shutter speed steps of shake compensation and has been enhanced through the incorporation of a rolling-ball-friction system in place of sliding parts in the compensation optics barrel for a minimum-friction structure. The overall durability of the lens has also been enhanced through increased usage of magnesium alloy and titanium for lens barrel components, together with weather sealing for all exterior joints and switches and a new fluorine anti-smear coating is applied to the front and rear elements. The Canon EF 400mm f/2.8L IS USM lens is expected to be available in December for an approximate retail price of $11,000. The two new EF extenders are direct replacements of the current extenders offered by Canon as essential accessories for professionals. These new extenders have been designed to provide faster autofocusing and improved autofocus precision with compatible EF lenses. Each extender includes an anomalous dispersion lens element for reduced chromatic aberration and enhanced optical image quality. Each extender also features a newly developed microcomputer that increases AF precision when the extenders are used with a IS Series II EF super-telephoto lens. Both extenders are equipped with rubber gaskets and seals to enhance weather resistance. A new fluorine anti-smear coating is applied to the front and rear elements of both extenders. The Canon Extender EF 1.4x III & Canon Extender EF 2x III are expected to be available in December for an approximate retail price of $500 each. In addition to an anti-reflection multi-coating, the front and rear elements of all newly announced EF lenses and extenders are treated with Canon’s new fluorine anti-smear lens coating. The fluorine layer is highly oil- and water-repellent so that any oil smears or water droplets on the lens can be wiped off quickly and easily without the aid of solvents using a soft dry cloth. These four new lenses and two new extenders are the first of their type to employ fluorine coating, and it is expected that this new feature will enhance the usability of the lenses during adverse shooting conditions. The new Series II EF super-telephoto lenses can correct camera shake up to four full shutter speed steps, compared to two shutter speed steps for the original versions. This improvement is made possible by a new low-friction stabilizer mechanism that is not only more efficient than the previous design but also smaller and lighter. Other enhancements to the IS systems of both new super telephoto lenses have enabled quieter operation ideal for use during video capture. Providing professional sports and wildlife photographers with greater tracking flexibility, Canon has introduced a third Image Stabilization mode option to its new EF 300mm f/2.8L IS II USM and EF 400mm f/2.8L IS II USM lenses. When mode 3 is selected on the lens, the image stabilization effect will not be seen in the viewfinder. When the shutter button is pressed halfway, the lens will begin detecting camera or lens movement and only during exposure, when the shutter is fully depressed, will the Image Stabilization engage and provide the equivalent of four stops faster compensation for blur-free images. The new Mode 3 is particularly useful when a photographer does not want to see the IS working in the viewfinder while tracking a moving subject. Helping moviemakers achieve smoother and more appealing focus shifts when filming on EOS DSLR cameras, Canon has included a new Power Focus (PF) mode on the Company’s two new super telephoto lenses. This mode allows manual rack focusing to be operated smoothly by turning a playback ring that is normally used for the focus preset function. Both low-speed and high-speed focus shifting are available. Additionally, a new security slot attachment has been included on both new super-telephoto lenses to allow a wire-type security lock to be easily affixed, a great safety feature for professionals shooting from high vantage points above arenas and crowds. 300 2.8L IS and 600 4L IS are top suggestions for update. 23rd We had the comment (thanks) that a 16-50 f/4L H-IS is indeed in the works and being actively tested. Said to be very sharp compared to the 16-35II with the H-IS (hybrid IS as per the 100mm macro) working well in video modes. 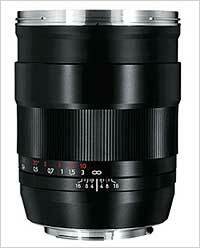 H-IS is suggested as a possibility for a much larger range of L lenses at the shorter end. EF 60 f/2.8 H-IS USM Macro, EF 200 f/4 H-IS L Macro, EF 24-70 f/2.8L IS – shipping by September. The 200 would replace the  180/3.5 Macro, whilst the current 50/2.5 macro is of 1987 vintage. 5th Thanks for the ongoing reports of lens shortages. I’m minded to thing that most reflect supply shortages in different parts of the world. An example would be the  400/5.6L, shown as not available until the end of October in Norway – what to make of this? well I somehow don’t see it as a priority in Canon’s lens update programme [was £750 in 2008, now £1100] – the 100-400 is a much more popular candidate for renewal. 20th We’re getting lots of comments (thanks) about lens shortages. So whilst in Canada [CR] there are shortages of lenses such as the 50/1.4 – I hear it’s still in stock at FV in Norway and here in the UK. 29th Updated versions of the 50 and 85 f/1.2? IS for the 135/2 [CR]. We’ve not had any reliable lens info for a while, other than various shortages, which don’t seem to give any real insight. It’s worth noting that so far, only one lens has been announced this year (see the EF lens chronologybelow). 17th According to comments we’ve received, attributed to two dealers in Europe, the Euro currency slide is about to hit, with a 10% rise in Canon prices (mostly lenses) before long. 11th IS gets added to a remake of the 135/2 at CR – there’s also a 60mm Macro with IS. 30th Thanks to CR, we have an estimate of what one segment of ‘customer demand’ might be. 24th The 24-70 2.8 IS gets a mention at CR along with talk of possible shortages of the 35L (which is a 1998 vintage lens). For some time we’ve been told to expect the 24-70 upgrade to be announced with the 1Ds4 – perhaps a modern version of the 35L too? 22nd Three videos from Canon about making the EF500/4 lens [KB] – no signs of any update/replacement any time soon. 14th If no new Canon version of the 85mm, then how about a Nikon 85/1.4 image stabilised[NR]. We’re also told (thanks) that Canon will ‘match’ the Nikon 14-24 this year, but no specs. I don’t particularly see Canon bringing in a new non IS version. BTW after several requests I’ve expanded our local (East Mids UK) photo training to cover TS-E lenses. I’ve also started a directory for other pro photographers who also offer specialist ‘121’ training. 17th A suggestion that the 24-70 is nearly here [CR]. It’s the sort of lens that would be expected for a 1Ds4 announcement. 12th Although the 15mm is in the rebate list below, at CR it’s suggested that it will be an 8mm EF-S fisheye that we get to see. Our last comment (albeit last year) about fisheye lenses said that they would be EF. 8mm would give a full 180 degree on EF and not quite fill the frame for APS-C.
An EF-S equivalent of the EF15 would be ~10mm. If it was an 8/9mm rectilinear lens giving ultra wide for EF-S, then that -would- be an interesting development. If you are not used to using fisheye lenses, this shows the different coverage. Diagram below is from the review (via Image Trends). We’ve been told to expect several lenses, although no details were at hand. The ‘long awaited’ 24-70 2.8 IS is a popular suggestion [CR] . With one comment we received [thanks], saying that I’d be happy with a new fisheye? 9th No Canon lenses appeared with the 550D yesterday. Most popular rumour lens in the forums is still split between 100-400 and the 24-70/2.8 IS. Meanwhile Canon UK still has a load of lenses listed incorrectly as ‘New’. 27th The EF-X lens mount is mentioned for a potential ‘EVIL’ compact. “The EF 70-200mm f/2.8L IS II USM is supplied with several accessories, including the new ET-87 Lens Hood and the Ring-Type Tripod Collar B (W). A brand new Lens Case LZ1326 is also included as standard, offering quick and easy access when users need to switch lenses in time-pressured situations. Reduced minimum focusing distance of 1.2 metres (3.9 ft) [20cm closer than Mk1] and improved 0.21x magnification. The UK price comes in at an eye watering £2,800 inc. VAT [PP] well over twice what I paid for my Mk1 version – Is it that much better? Thanks to all the people sending in the TDP link below, but it doesn’t actually say anything much more than state it’s an error – no source or authority. I notice that with the 70-200 announcement, many items have returned to their normal positions on the Canon US site. A careful look at the discontinued page still shows both EF (II) extenders listed, along with the two macro flash units. 4th We’ve had lots of speculation (thanks) about the ‘Missing lenses’ but as yet, no real info. There is a product archive page at Canon US where a lot of these lenses appear. Also there is the EOS 1V on the ‘retired’ page – no more film? We’ve had comments to expect a few new lenses this year, but nothing on this scale. Some still suggest a web site management snafu as more likely than replacing so many lenses.